Last month, Bahrain Airport Company (BAC), which manages and operates Bahrain International Airport (BIA), issued a new public tender for security fencing to meet the security requirements of the $1.1-billion Airport Modernisation Programme (AMP) currently under way at the airport. This project is being carried out over two stages in co-ordination with Airport Police Directorate at BIA, with the first stage being the demolition of old and unsafe buildings and existing fences, which was successfully completed in March last year. The second stage, which is now being tendered, will help elevate the levels of security at several locations, making the entire airport safer. The project will be completed within six months. The airport is also on track for delivering its new terminal in the third quarter of 2019. The Airport Modernization Programme (AMP), launched in 2016, is part of large-scale infrastructure development projects worth more than $32 billion and set to accelerate Bahrain’s diversification efforts and overall economic growth. With the goal to accommodate 14 million passengers every year, Bahrain International Airport is expected to reflect Bahrain’s image as a leader in the aviation industry. Once totally ready in the third quarter of 2020, the AMP will provide a main passenger building spanning 210,000 sq m, four times the size of existing terminal. At the new terminal, departures hall will be 4,870 sq m, nearly triple the size of the current area. Investment in Bahrain’s tourism infrastructure has reached more than $13 billion, according to the Bahrain Economic Development Board. 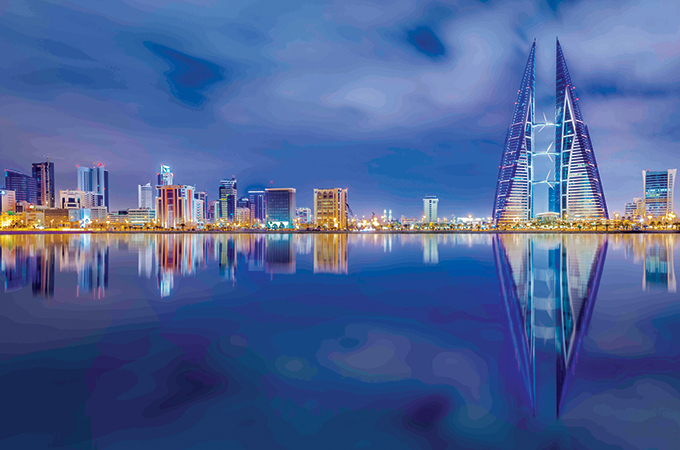 These tourism investment projects are part of Bahrain’s large-scale infrastructure development across a wide range of sectors and are valued at over $32 billion. 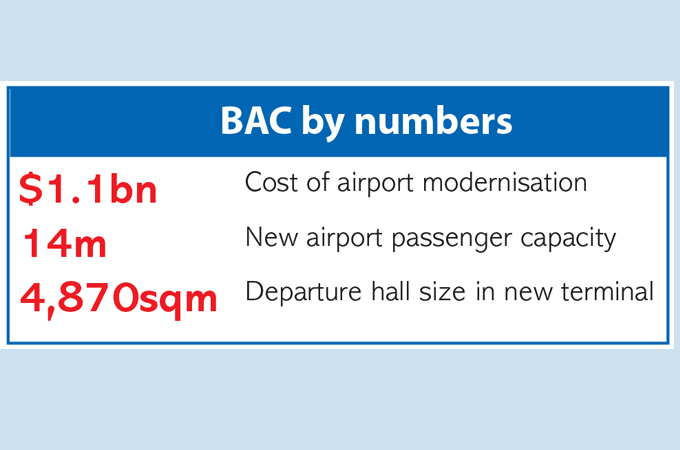 Bahrain International Airport’s $1.1 billion modernisation programme is a fraction of these investments. This will go hand in hand with the new five and four-star hotels and resorts in the tourism development pipeline – The Address, Vida, Fairmont and Jumeirah Royal Saray.